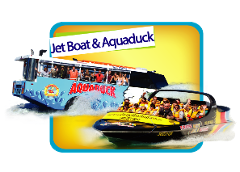 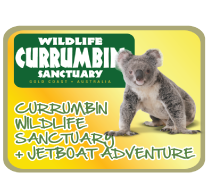 55min Premium Jet Boat Adventure Ride plus a 1hr Aquaduck Safari Tour. 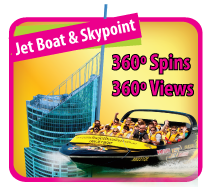 It’s the ultimate watersports combo. 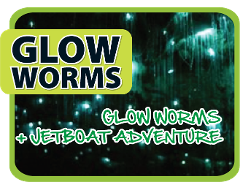 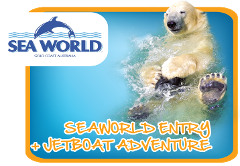 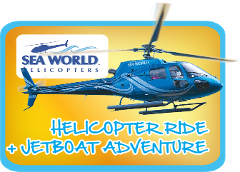 The Ultimate Big “Wet” Day Out… combine a Broadwater Adventure Jetboat ride with a day at SeaWorld Theme Park. 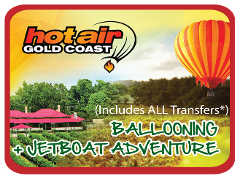 Combine our Premium Broadwater Adventure jetboat ride with a tandem Parasail flight above the Gold Coast Broadwater.